Last Saturday ( 7th August 2010 ), I decided to check out the World Food Expo that was being held at SMX Convention & World Trade Center. I got to know about this expo while surfing the Internet. I was pretty excited to visit the expo as I might get to see some latest food invention or something that might be new to me. The entrance fee was PHP100 and I gladly paid for it and found my way in to the exhibition area. I have to say it wasn’t what I’ve expected but it was still all right for me to actually go stroll on a lazy Saturday afternoon. The expo was definitely targeted for the big players as most of the exhibits were selling machineries. Most of the machines that were displayed are for food processing and packaging. Also heavy duty kitchen stuff for industrial cooking. I have no idea what all the machines really do but I just continued strolling and gathering brochures. After spending like 2 hours walking around aimlessly, my legs got tired. I was planning on going to MOA ( Mall of Asia ) as it is located quite near to WTC. But it was drizzling and getting a cab might be a biatch. 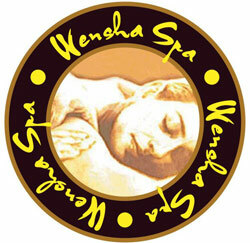 As I walked out from the main entrance of the expo, I saw Wensha spa and suddenly decided to hang out there instead. Heard about it all the time from friends about the free shabu shabu and eat all you kinda deal. I’m not really a spa kinda guy as I prefer YOGA anyways. Click here to see my claim of being a Yoga dude. I am glad that my heart told me to check out this spa as the visit to Wensha spa was actually the highlight of the day and not the trip to Food Expo like what my blog title suggested. Paid PHP600 for foot massage and was given a key to go in. The place was really packed with patrons and I can see many families with their kids were enjoying the shabu shabu. I quickly changed and went to the main area where food is being served buffet style. After eating I just rested a bit and then proceed to the foot massage area. Really cool lazy chairs with personal TV screen. After the food massage I just continued to lie lazily on the chair and just watched TV. I think I spent a total of 3 hours just lying on the chair. I managed to watch an episode of GLEE, some parts of Lethal Weapon 4 and a very cool documentary on China. After enough of rest and TV watching, I decided to go for round 2 and go for the shabu shabu. Eating shabu shabu is nicer when you have a big group. I still got the employee of Wensha to set up the pot. i’ve heard of that world food expo months before i left manila. so it wasn’t that impressive? I guess you can say it that way Doc. Maybe I was just expecting a little bit more….as you can see..the title does say WORLD food expo.